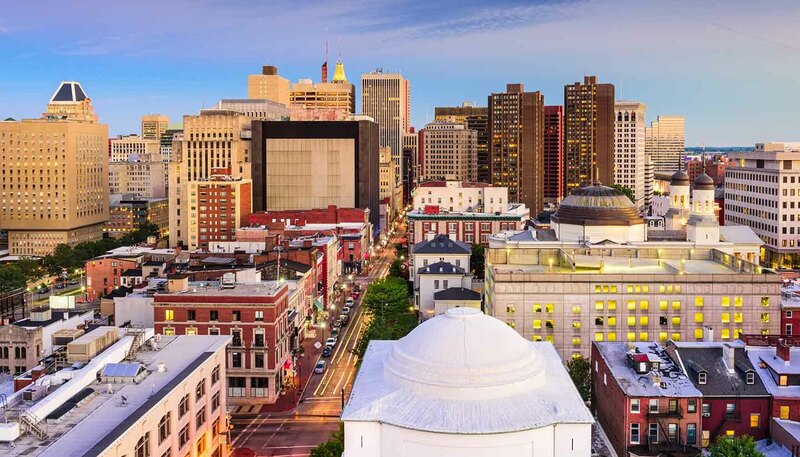 Baltimore's accommodation options range from large, upmarket hotels and moderately priced chains to stylish boutique properties and historic bed and breakfasts. The Inner Harbor and Harbor East are particularly popular and close to the city's major sights. The hotels below are listed under the following three price categories. These Baltimore hotel prices are the starting prices for a standard double room and include taxes. This contemporary hotel features soothing earth-toned décor, good conference facilities, a fitness centre and all the in-room services you would expect from the Marriott chain. Seafood dishes are especially good at Watertable restaurant. The hotel is conveniently attached to the attractive Gallery mall and has lovely harbour views. Telephone: +1 410 547 1200. Contemporary style meets traditional elegance in this grand hotel overlooking the Inner Harbor. Cosy guest rooms are well appointed and spacious. For extra space, book a suite with separate living room. You can dine in Explorers' Restaurant & Lounge, and enjoy an indoor saltwater pool and fitness centre. Telephone: +1 410 234 0550. The luxurious accommodation in this 19th-century Mount Vernon mansion aims to give you the feel of staying in the home of a wealthy friend. Nine characterful rooms and suites are fitted out with cosy four-poster beds and sleek bathrooms. Curl up with a book in the library, tinkle the piano or dine in the upscale Magdalena bistro. Telephone: +1 410 514 6500. This 250-room high-rise is just three blocks from the Inner Harbor and is close to the Convention Centre. It offers a fitness centre, heated outdoor pool, business centre, lobby bar and Harbor Grill restaurant, serving hearty American fare. Rooms are smart, comfy and contemporary. Telephone: +1 410 576 1000. This hip urban bed and breakfast lies in Baltimore's trendy Canton neighbourhood, a short stroll from the waterfront. It's more mini boutique hotel than traditional B&B, featuring exposed 19th-century brick walls and contemporary, individually designed rooms. A hot breakfast is included, with options such as French toast and creamy blueberry bread pudding. Telephone: +1 410 342 4450. There's something of a beaux-arts feel to this hotel, with marble staircases leading up form the grand lobby. The actual building has been around for more than 100 years, but this belies the modernity of the property, which is sleek and chic. Even the entry-level rooms are of a nice size, and the suites are enormous. Telephone: +1 443 692 6170. A fixture in the city since 1928, this is a classic hotel in the French Renaissance style, the huge lobby chock full of chandeliers, staircases and everything you really want on old-style hotel to be. You're only a few blocks from Inner Harbor, and its 400-plus rooms are mostly a good size. Telephone: +1 410 539 8400. A short stroll from the Inner Harbor, this hotel puts you within walking distance of Baltimore's main attractions. Rooms are smart and modern with a choice of two double beds or a king bed. Many also have a pull-out sofa bed. A hot buffet breakfast is included. Telephone: +1 410 779 6166. Housed in a grand 19th-century mansion, this elegant 10-room bed and breakfast offers cosy accommodation near Penn Station. It was here that William Jennings Bryant made deals that led to Woodrow Wilson taking the presidency in 1912. The home is within easy reach of Mount Vernon's cultural venues and eateries, and around 5km (3 miles) from the Inner Harbor. Telephone: +1 443 850 3134.